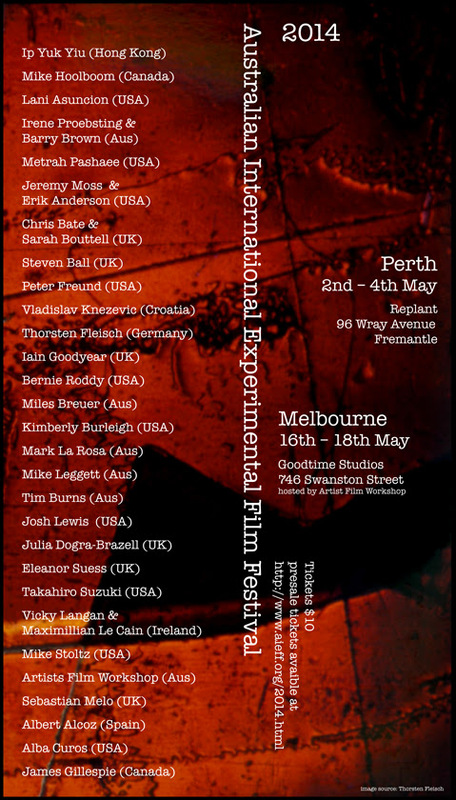 My video Beside Herself , 1:30 min., 16 mm to miniDV will be screened in the Australian International Experimental Film Festival ’14 in the Of the Human Condition screening. This piece was manually edited and in post, adjusting the 16mm projector to flip and go out of focus. The subject of the work points back to mortality and metal health illness.